Google has created a very LOCAL search experience, which is very convenient for the user, but can be a pain for businesses. If you type in a Google search, most search results will come back with a Google Maps section which lists anywhere from 3 – 7 local businesses in Scottsdale, AZ, with their name, address, phone number and map location. So, how does your business get on Google Maps? There is an entirely separate Google algorithm for this section of the search results. You have to set up what’s called a Google Local Business account and optimize this properly so Google knows your business is the closest place, offering the best matched services. 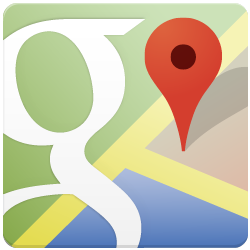 Your competitors are probably on Google Maps, so you should be also! Even more important then the map listing is the amount of reviews your business has. Think about how you shop online – do you read reviews before you purchase a product? When you buy on ebay do you try to make purchases from sellers who have good customer reviews? Do you look at reputations on SealScore? Do you look at reviews when picking a restaurant, doctor or dentist? Most people do, so reviews for your business are extremely crucial. The reviews are highlighted when your listing shows up in the Maps section of the Google search so customers will undoubtedly see your reviews (or if you don’t have any reviews your customers will notice this also). Your former clients probably have a lot of good things to say about you, but it may be a challenge to have them actually complete a review for you. FLIP Marketing and SEO has some tips and tricks to help you get reviews and help these reviews on Google Maps “stick”. Are Your Google Reviews Disappearing? Many businesses in Scottsdale are fighting with the fact that their Google reviews constantly disappear. Businesses have clients successfully complete the review process and then for some reason, the review will suddenly disappear because Google decided it may be “fake”. Google’s algorithm is extremely touchy with reviews and it’s critical to know what may cause a review to disappear and how to avoid this. There are so many factors that Google looks at to determine if it’s a “good” review or a “bad/spam” review. FLIP can help evaluate each of your Google reviews and help them stick on Google Maps for good!